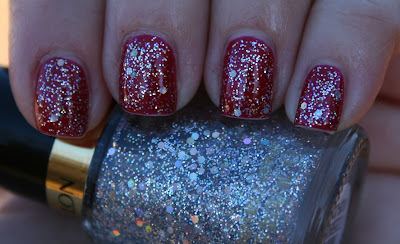 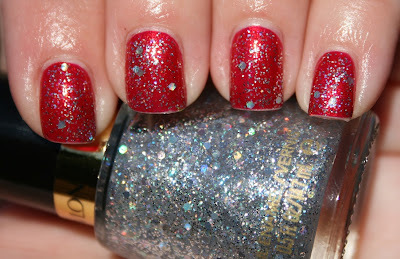 I needed another glitter topper like I needed a hole in the head, but that did not stop me from picking up Stunning! It's quite pretty, and amazingly did not even need a coat of Gelous to be smooth. I just topped it with NYC Grand Central Station and it was nice and even. Bonus!